Edson Arantes do Nascimento, known by his nickname Pelé, is a retired Brazilian footballer. He is widely regarded as the best football player of all time. 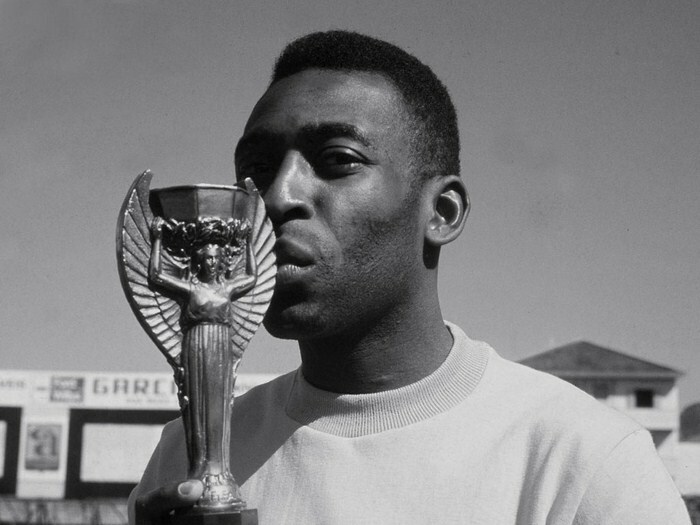 In his native Brazil, Pelé is hailed as a national hero. He is known for his accomplishments and contributions to the game of football. In a simple word, he is known as "The King of Football". Now let's see some facts about such a great football player. 4. Pele was signed by Santos when he was 15. He scored four goals on his league debut in a match against FC Corinthians on September 7, 1956. 10. On November 19, 1969, Pele scored his 1000th career goal. Hundreds raced onto the pitch to mob the Brazilian star and it took over thirty minutes for the game to resume. 38. In Brazil he is often called “Pérola Negra”, which means Black Pearl.